As we receive feedback and donations, we'll spend time writing up more skills, matching clear photos and putting new pages together. We'd like to build it up to be a comprehensive manual and resource available to individuals and clubs -worldwide. At the top of each page you'll find a donate button, this is a bit like shareware. If you find the website worthwhile and want to encourage us to add more skills, press the button and make a donation. It's secure and can be done with a debit / credit card or your PayPal account - any currency, and any amount you think suitable. People who help us grow the site with a donation get a credit on the site. You also have the opportunity to add a message with your donation, give us some feedback and let us know what you'd like to see next - when we have a number of requests for a particular manoeuvre, we'll get it up on the site. But best of all, you'll be helping develop a rare resource on the web which can help people improve their skills and enjoy their surf kayaking even more! If your company is interested in sponsoring a page or the entire site! Please get in touch here. This website is dedicated to all things technique based in the world of surf kayaking. Written by Glyn Brackenbury a BCU Level 5 Surf Coach, with contributions from members of the England Surf Kayak Team, the website aims to provide a contemporary coaching manual that will help paddlers push their surfing to the next level. This could be linking bottom turns to top turns, or aerials to inverts, the site's content will be influenced by you the user, so there's no excuse not to learn something new. 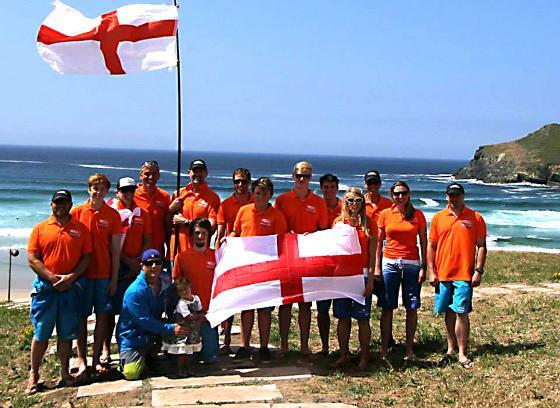 The England Surf Kayak Team were World Champions in Portugal 2009. Three second places have followed - at the Outer Banks, east coast USA in 2011, Australia 2013, and at Pantin beach in Galicia, Spain 2015. The next challenge to win the World title will be in Northern Ireland 2017. In an enthusiasts' and amateur sport, team members largely pay their own travel, food and accommodation costs. The idea is that building this website brings some income towards covering their costs, whilst providing a guide and coaching resource for anyone wanting to develop their skills. If you like the website and the idea, please click the button and make a donation. You'll be contributing to the development of surf kayaking and improving your own skills and fun too! - Thank you.